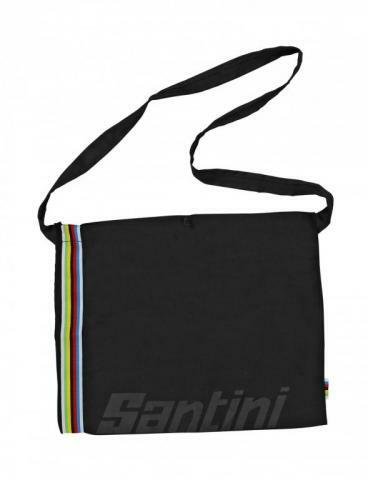 The one and only official UCI World Champion musette. Made from fine cotton with applied rainbow ribbon. Perfect as a feed bag to store bars, fruit and gels but so stylish that can be worn everyday, anywhere.